Moab, Utah is home to not one, but two National Parks. Not many other towns share that distinction. The beauty and recreational opportunities don't simply end at the park borders; and with Moab nestled between the red rock wonders of Arches National Park, the incredible sandstone landscapes of Canyonlands National Park, and the breathtaking National Forest of the La Sal Mountains, Moab National Parks tours are not the only way to discover the endless sightseeing and adventures in Moab, Utah! But two National Parks are an excellent way to start exploring! 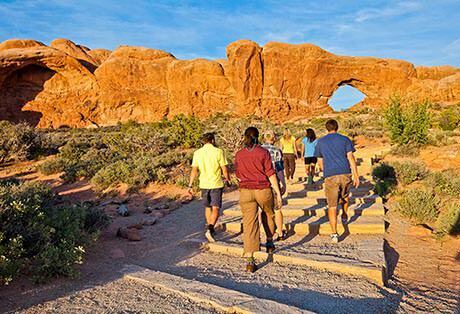 Enjoy guided driving and hiking tours in Arches National Park, or even a quick one-hour tour by air around the park perimeter. 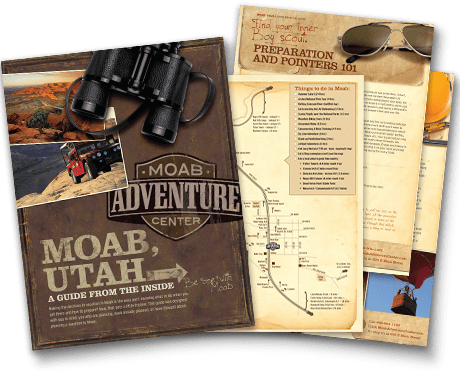 Click to learn more about Moab National Park tours in Arches. Canyonlands is vast, including 4 different districts for different types of red rock formations and scenic wonder. One of those districts is the "Rivers" District. 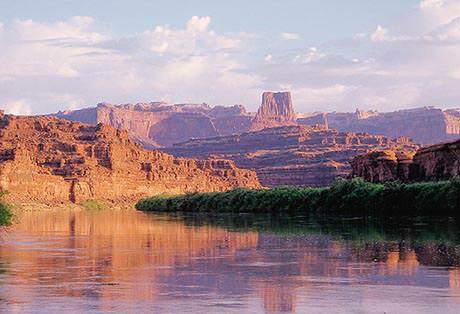 Click to learn more about Moab National Park tours by river and air in Canyonlands.